There are some people in our lives that energize us and leave us feeling a wave of excitement. And then there are others that leave us feeling stressed and exhausted. 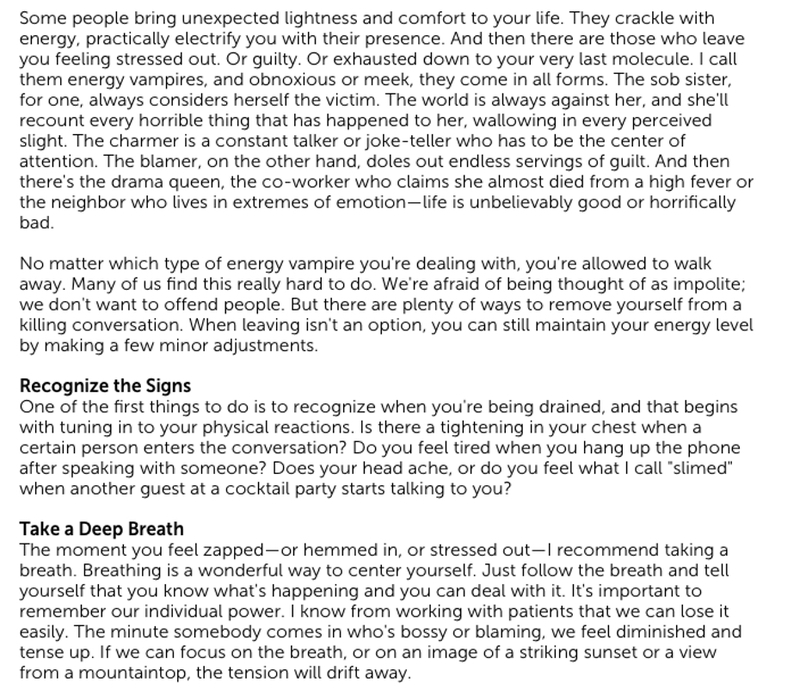 Energy vampires are people who drain your emotional and physical energy. Some are so toxic that they can make it seem like it is all your fault. These vampires come in many forms such as the narcissist who wants to be the center of attention or the blamer who dispenses endless guilt and ridicule. 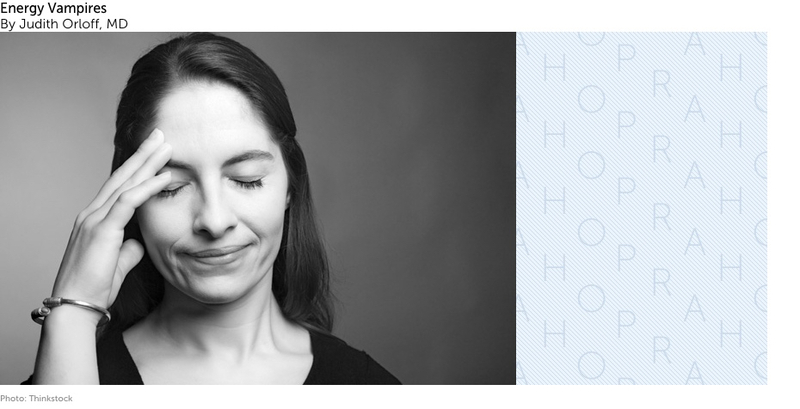 When leaving the conversation isn’t an option, there are subtle adjustments you can make to set boundaries and maintain your energy while still participating in the interaction. 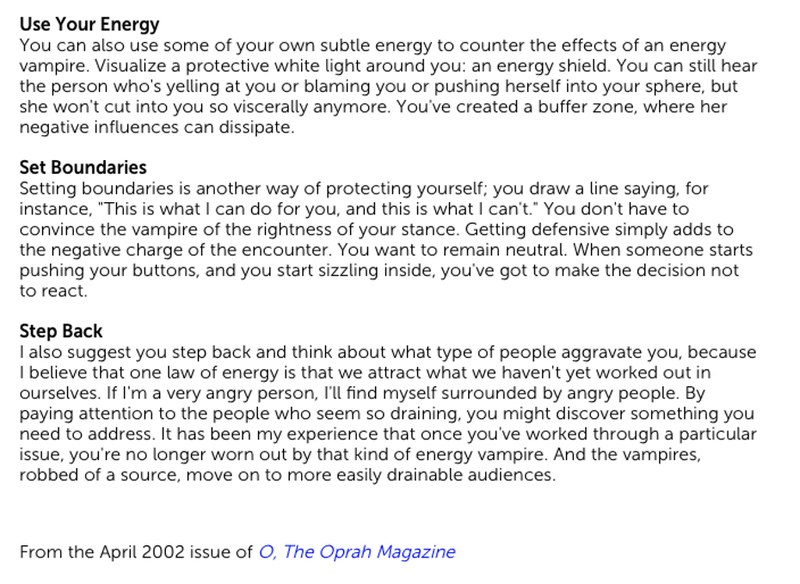 In this Oprah Magazine article, I share how to recognize cues from your body when someone is influencing your energy and ways to counter the effects of energy vampires. You can find the full Oprah article here.